There’s a lot of ham left over from Easter and Bob has been sick with what turned out to be bronchitis so I decided to put some soup together for him. 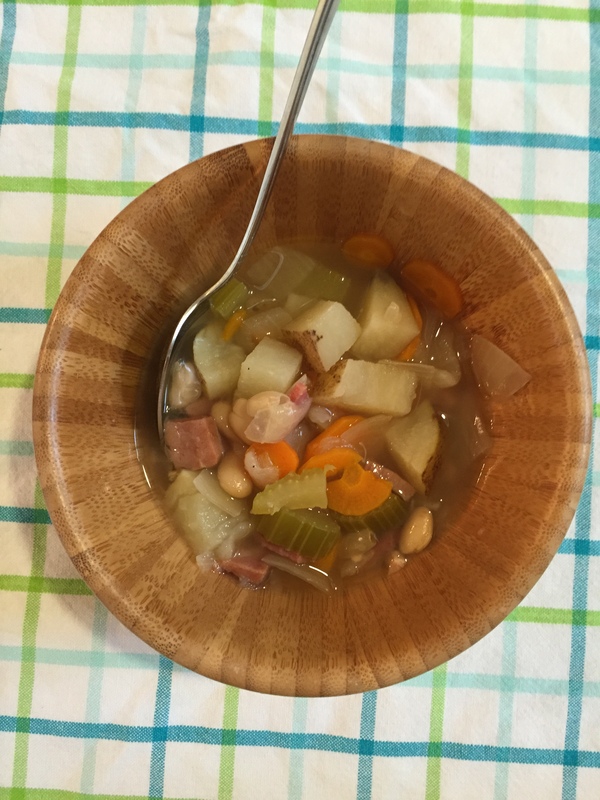 A lot of the recipes I looked at for ham and potato soup had a cream base and I wanted to avoid those calories so I just started throwing things in the crock pot, turned out pretty tasty. Add all ingredients to crock pot and cook on high for 5 – 6 hours. Sometimes just throwing stuff in and experimenting can lead you to the best recipes! Thanks, I totally agree with you! Thanks for stopping by my blog and taking the time to comment.